With a highly competitive corporate setting nowadays, business movers milk every inch of advantage that they can get. Apparently, transactions are not just confined within office walls anymore. Rather, deals can be closed while on the go. Major contracts can now be signed digitally and closed-door meetings have been given new light by communication software. There is no off switch in terms of pushing a company towards bigger successes. Because of which, a mobile phone can now serve as a center of business operations. Before the age of mobile communication, meetings were conducted personally. Whether the meeting place is in the office or at a dining facility somewhere, it is impossible to comprehend two parties communicating without seeing each other. Snail mail or telegram could work but this process is too cumbersome. Now, both client and service providers can share their opinions through a small device that fits in one’s palm. In effect, mobile handsets make the business landscape more flexible. As long as there is a functioning phone, there is no excuse for a corporate executive to not communicate with his subordinates or partners. If there is loud noise in the surroundings, one can use noise cancelling headphones to hear the words clearly. Though this set-up provides a dynamic template of conducting business, it has its negative by-products too. First, business transactions are not done with a personal touch anymore. 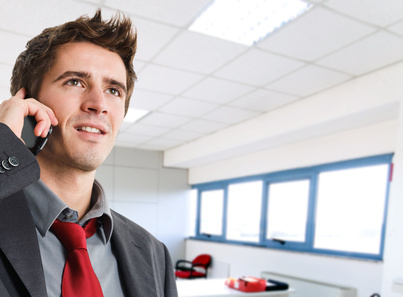 Since there is a need to contact several potential partners or clients immediately, workers are contented in speaking over the phone rather than meeting in person. When on the phone, a person has the capacity to multi-task in order to finish more responsibilities at once. Of course, there are those who would contend that the corporate world is not a place to make friends. However, clients tend to give deals or projects to those who they have drank coffee or ate lunch with. While mobile communication brings continuity to the correspondence, the personal approach should not be forgotten. But in times when the tangible office seems inaccessible, the functions of a mobile phone can help maintain its operations. Smart phones can serve as both phone and computer that documents can be processed through it. Therefore, contracts can be reviewed using these kinds of phones and contract signings can be done through tablet phones too. In the same manner, documents can also be constructed through related mobile applications. Sending out funds is also possible through a mobile device that allows credit cards to be swiped and be debited. Also, smart phones allow face-to-face communication through 3G technology. Beyond mobile phones, a headphone is handy for virtual meetings especially when the connection is shaky. In times like these, the words sound garbled and grasping the entire message is tough when there are other sounds that disrupt one’s attention. 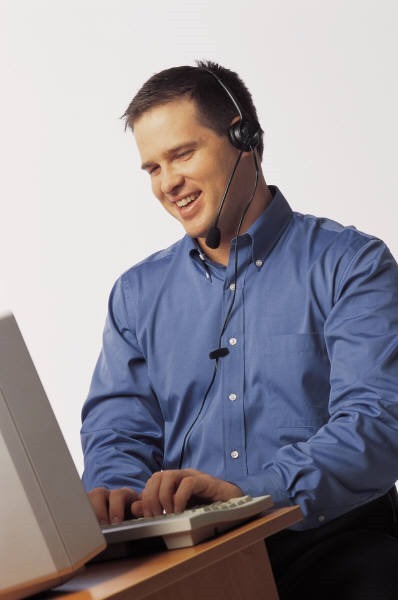 Having this peripheral will help the businessman focus on what the other person is saying without needing an audio transcriber. In the business world, every word uttered is important. When the receiver has the wrong message, the corporate processes that follow will build a chain of bad practices. Bio: Harvey Norman Singapore offers a wide range of affordable- and premium-brand headphones, earphones and headsets to suit your listening needs and budget, including the latest in noise-cancelling and wireless headphone technology. They also offer a huge selection of mobile phones from various brands like Samsung, Nokia, HTC and Asus.